Amosh found himself here as an owner surrender. This ol' fella could really use some TLC. He just wants a comfy place to relax. He deserves so much more than just being in a kennel all day. Amosh is about 45 lbs and is 12 yrs old. To adopt please email: acsadoptions@sanantonio.gov. PLEASE HELP!! 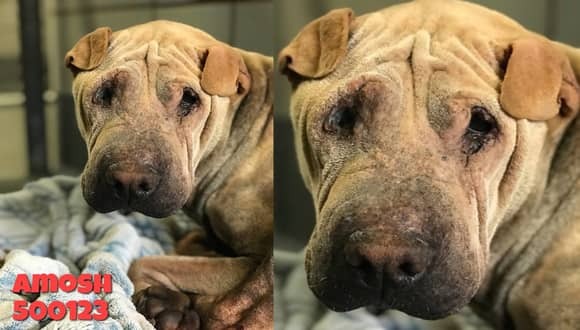 THIS DOG IS PAST DEADLINE AT THE CITY SHELTER AND IS BEING RELEASED TO EUTHANASIA!! "Released" means that the dogs have physically moved from the transition holding area to the EBI area. There is generally about 10 minutes between when the release header is posted and when the dog is euthanized. If you want any of these animals, it is IMPERATIVE that you EMAIL NOW to tag them before it is too late if it is not already. 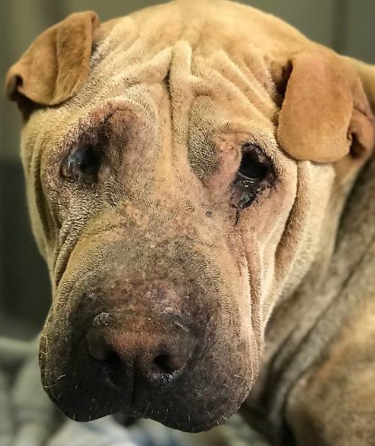 1 Response to "This dog sadly will not make it outta here...surrender at 12 this old man needs a miracle"
Please post a link to the dog's Facebook post on the SAPA page. I will share this dog on my senior networking page, but it needs to be a post that can be tracked and 3rd part sites like this can't do that.